Robertson Brothers Homes new Normandy Square community. NOW INCLUDING OVER $20,000 IN PREMIUM FINISHES. Home offers two and three bedroom townhomes in Royal Oak, located on the old Normandy Oaks golf course. The beautiful 10 acre community will be surrounded by the developing Normandy Oaks City Park. 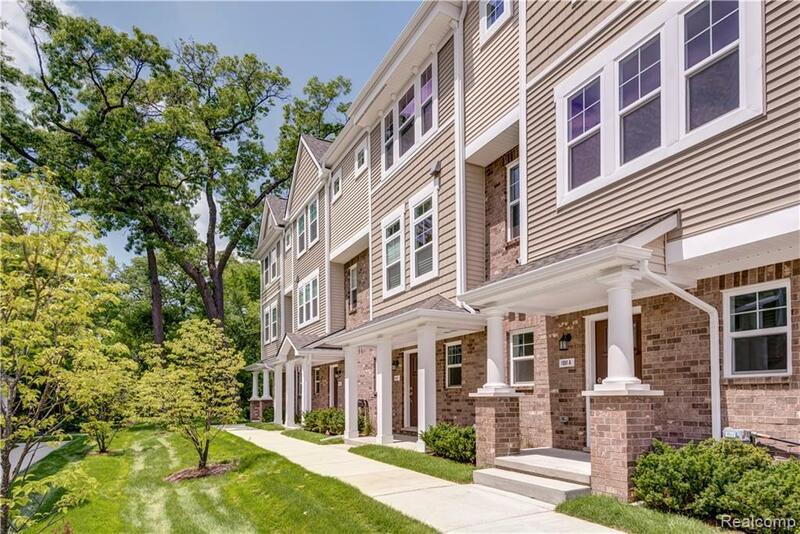 This 3-bedroom end unit town home offers granite countertops in the kitchen, G.E. appliances, hardwood flooring, ceramic in full baths. High ceilings, lots of windows. Overlooks community common area. Builder warranty included. MAINTENANCE FREE LIVING. Enjoy all of the benefits that Royal Oak has to offer. Estimated completion of this home is spring 2019. Photos are of a similar home. IDX provided courtesy of Realcomp II Ltd., via Robertson Brothers Company and Realcomp, ©2019 Realcomp II Ltd. Shareholders.